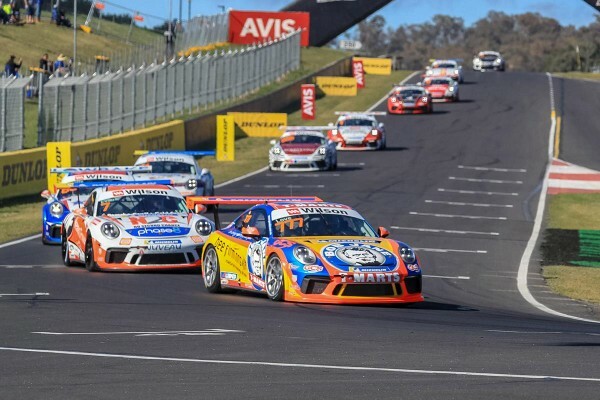 Outright victory at Mount Panorama was a fitting result for the Bob Jane T-Marts-sponsored rookie Jordan Love in the final race of the penultimate 2018 Porsche Wilson Security Carrera Cup Australia round, while a race three win handed Tim Miles his second-straight TAG Heuer Pro-Am round win at Bathurst. After placing third and second in the opening two races, Love had an impressive race three start and led into the opening corner. Evans slotted into second from O’Keeffe in third, though O’Keeffe passed the series leader early in the race in pursuit of the lead. Love was too good, however, pulling a small margin on the field to eventually take his second Carrera Cup race win and maiden round victory. For Love, who also won race two at Sydney Motorsport Park, the Bathurst win was made more special as his Bob Jane T-Marts-sponsored team, Sonic Motor Racing Services, remembered the life of Bob Jane after the motorsport great’s recent passing. “This is a great way to finish the Bathurst round. We went one step forward in every race, which was amazing. It was a challenging weekend for the team; obviously there was a fair bit of damage for my teammates, so it’s good to get this round win for the team,” said Love. “Half way through the year we had our sights set on being strong at the end of the year so to get my first round win with one round to go is incredible. Evans, who finished the weekend equal on points with Love, placed second due to a lower finishing position in the final race and now takes a 108-point lead in the Outright standings over O’Keeffe to the season finale at Gold Coast in two weeks. Miles was the best of the TAG Heuer Pro-Am drivers on Sunday, claiming a two-second victory over Adrian Flack by the chequered flag from race one and two winner Stephen Grove, Dean Cook and Sam Shahin. Much like in the Pro class, Miles and Grove finished the weekend equal on points, with Miles’ race three win handing him the round victory. “That was great racing. Steve and I had three very clean races. He’s been the class of the field this year so it was nice to have enough pace to run with him. 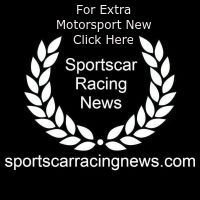 Our car was fantastic, it was the best race car I have ever had, it drove me, to be honest,” said Miles, who claimed a Bathurst class clean sweep last season. Grove’s impressive weekend has the Melbourne-based racer well positioned to take his third TAG Heuer Pro-Am title. Grove now sits 153 points ahead of his closest Pro-Am points rival, Flack. “We have a fairly big lead in the Pro-Am championship, but the pressure builds towards the end of the year so I’ll head to the Gold Coast and do my thing and see where we end up,” said Grove. Porsche Wilson Security Carrera Cup Australia returns on October 19-21, where the one-make series will hold its final three races of the 2018 championship on the streets of the Gold Coast.